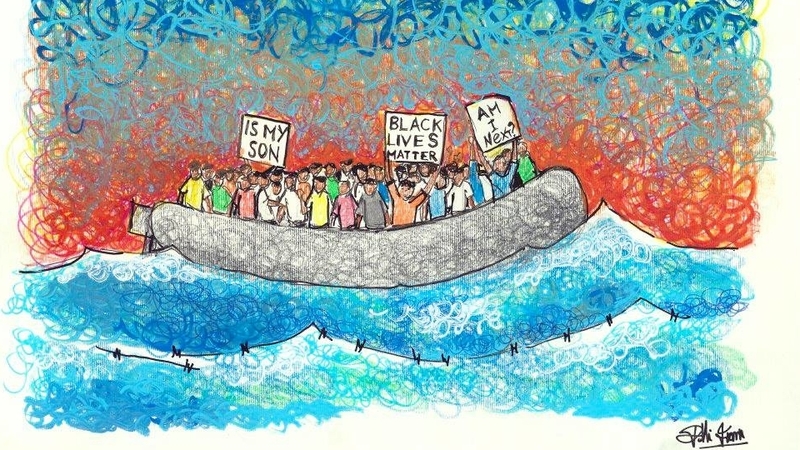 «3rd October should become the European Day dedicated to the memory of the victims of immigration: it would be a great symbolic and cultural act» – Salvatore Martello, Mayor of Lampedusa, said, on the eve of the anniversary of the shipwreck in which 368 migrants died in the sea in front of the island, on 3rd October 2013. October 3rd is, since that tragedy, the Italian National Day of Remembrance for the victims of immigration. The Mayor of Lampedusa and Linosa, the municipality which is leader of the project Snapshots from the borders, raised to European institutions the idea to “adopt” this date and make it the common heritage of member countries. «The issue of migratory flows should be seen from a common and shared perspective, in a solidarity-based frame – Martello continues – and I think there are also some symbolic steps to be commemorated together: 3rd October is one of these». «A day in which – the Mayor concludes – all European countries and citizens should be united in remembering the sacrifice and memory of all human lives that left their homes and travelled by land and by sea, looking for a better life». Drawing by Francesco Piobbichi, author of “Drawings from the border” (Disegni dalla Frontiera). Thanks to the author.